Improve your mountain bike skills, further increase your confidence & ride safely. Be shown new places to ride in the Lake District & other North West areas. See what skills courses or guiding days are coming soon with Trail Motions. 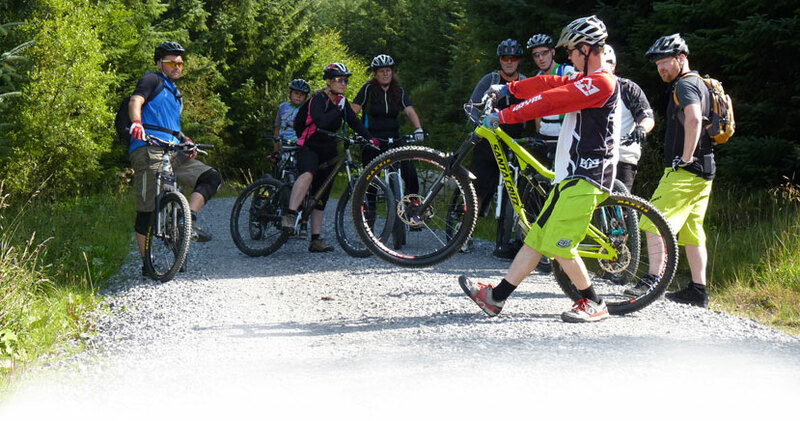 Trail Motions privides a high standard of Mountain Bike Skills Coaching and Guided Riding in the North West at Gisburn Forest and Lee Quarry and also in The Lake District at Grizedale Forest and Staveley / Kentmere. Courses at other locations are available for groups and private bookings on request. Our fully qualified Mountain Bike Leaders teach up to date riding skills for todays trails and riders. #lifebehindbars – An excuse to go ride your bike! Trail Motions offers mountain bike skills coaching and guided riding with experienced instructors in the Lake District and the North West. We can help you explore new areas and show you hidden gems, amazing views and sublime singletrack , in and around our favourite riding spots in the Lake District. If you simply want to head out into the wilderness for a guided 2 wheeled adventure then you need look no further than our Lake District guiding sessions. We can also can help improve your confidence and technique on the bike with skills and techniques you can use no matter where you ride. Whether you’re an absolute beginner, or you’ve been riding for years, we look at the way you ride and provide a tailored coaching session that will focus on building the skills you need to become a smoother, faster, and safer rider. If there’s something in particular you’d like to work on or if you want to learn how to corner faster, climb better, smooth out roots and rocks, learn how to jump, ride drop off’s properly and understand how it all comes together on the trail, it’s time to book yourself a Skills session.